Delighting our guests every time by creating engaging experiences straight from our hearts is Shangri-La’s fundamental mission. Our colleague at Bengaluru fully demonstrated our core practices and guided principles to delight and show our hospitality to our guest. We had Mr Nathan James Doyley from the Company Rolls Royce stayed at our hotel Shangri-La Hotel, Bengaluru from 23 to 28 July 2017. Our doorman PV Murali always escorted Mr Doyley graciously while Mr Doyley was leaving for office in the morning. On the morning of 27 July, Murali discovered that Mr. Doyley was not departing at around 8:15 a.m. as his usual schedule. Murali went the extra mile to call Mr Doyley and realized that he was running late for office that morning. While Mr Doyley was rushing to the driveway, Murali quickly arranged Mr Doyley’s car to wait at the driveway with breakfast-to-go inside the car. Mr Doyley was extremely delighted with Murali’s extra helpful service and shared his positive feedback on Trip Advisor. Well done Murali and we are proud to have you as an example of Shangri-La’s mission for all our colleagues! 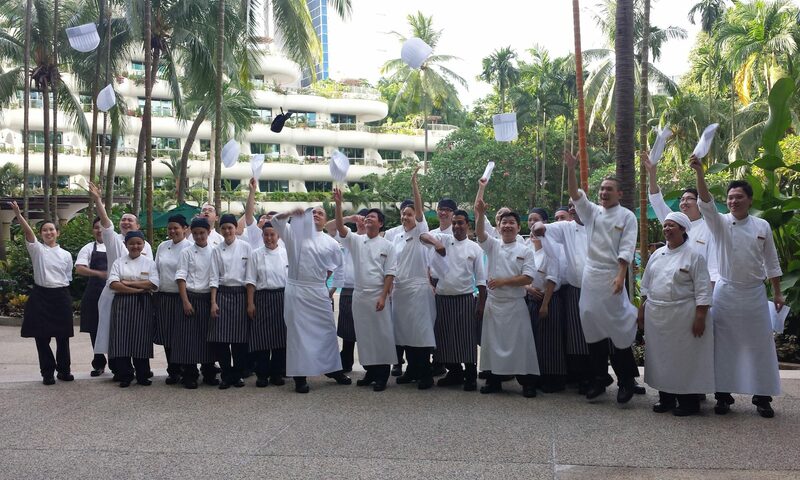 Please remain deeply committed and keep up all the good work to delight our guests in the coming days at Shangri-La. Fixing Tires: That’s What We Do ! “We make a living by what we get; we make a life by what we give.” This quote from Winston Churchill beautifully reflects the values of Shangri-La and our colleagues. One of our colleagues in Istanbul directly demonstrated this through an act of selfless-giving, and we would like to recount the story to celebrate him and his attitude. One day in August at Shangri-La Bosphorus, Istanbul, a first time guest arrived with his own car. Upon being warmly welcomed by our Doorman Berk, the guest relayed with distress how his car had developed a flat tire and how he was in a hurry to catch a business meeting. Demonstrating true care, teamwork, efficiency and Shangri-La hospitality, Berk assured the guest that with the help of our Valet Murat, he would be able to fix the tire within 30 minutes and eradicate the problem. To the guests delight, they were successful! He was delighted and amazed by the efficient action, and noted that he was very much impressed with the Shangri-La touch. Well done to our colleagues for showcasing selflessness and providing the utmost care and support to our guests! The “National Model Worker”, an award ceremony organized by The Ministry of Human Resources & Social Security and National Tourism Administration for Beijing’s hospitality industry, has been held on 12 December 2016. This ceremony aims to deliver recognition to those workers who perform excellent in the industry every five years. We are pleased to have our Senior Events Manager from Shangri-La Hotel, Dalian, Ms. Kitty Jiang selected as one of the forty-five awardees in China. She has gone through a very intense and aggressive selecting procedure. Finally she was nominated by the Government of Dalian and also Liaoning Province. We are so proud of Kitty as she is the only one awardee from both hospitality industry and Shangri-La Hotel and Resorts. In the past 13 years, Kitty obtained various experiences on serving VIP groups and international conferences, and these experiences led her to success. She was appreciated by the VIP guests, as well as the conference organizers due to her outstanding performance. Throughout the visitation of the former Russian president, Kitty foreseen the guests’ preferences and coordinated proficiently with the government and the hotel. In the International Corn Industry Conference held on 2016, she was the person in charge to follow up and ensure the conference went smoothly following the itinerary. Kitty’s service fully demonstrated our valuable philosophy – ‘Shangri-La Hospitality from a Caring Family’. Kitty represents the enthusiastic and qualified Shangri-La image to the public and she shall be a great role model for every one of us. On 26 February 2017, Manulife-Sinochem Life Insurance Company held their Awards Ceremony at Pudong Shangri-La, East Shanghai. Eva was a very important guest from the company, who will attend the ceremony on that day. Unexpectedly, just several minutes before the opening of the award ceremony, Eva found her high heels was broken. Upset and anxiety suddenly overwhelmed her, since this is such an important moment to Eva and her company, it will be a huge regret for Eva if she walks to the stage without the gracefulness in high heels. On hearing about the situation, our colleague, Amanda Chin, Director of Business Development, brought her own shoes to Eva without hesitation and largely saved Eva’s grace for the ceremony. Amanda is fully committed to Shangri-La culture, delighting our guests through her proactive and agile service skills, and gaining guests loyalty. Well done Amanda!